The service we offer is friendly and personal yet professional. Our team has an in-depth local knowledge, is passionate about property and motivated to sell, receives regular training and each one has personal accountability. We are independent which means we are less rigid, more flexible and more responsive than the larger corporate agencies. Open for business 6 days a week from 09.00am and willing to do evening viewings ensuring our clients’ needs are speedily met. 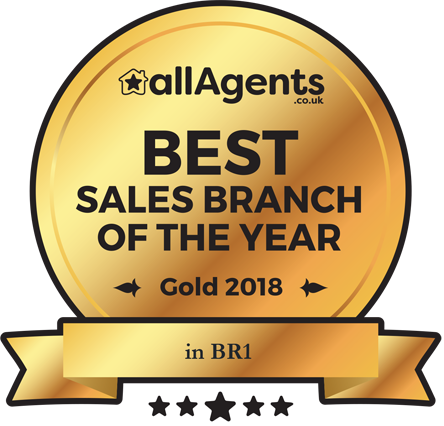 Acknowledging the negative reputation that some agents have bestowed on the industry, we always strive to give optimal service and leave you with a good impression of estate agents - as reflected in our reviews on the AllAgents website. 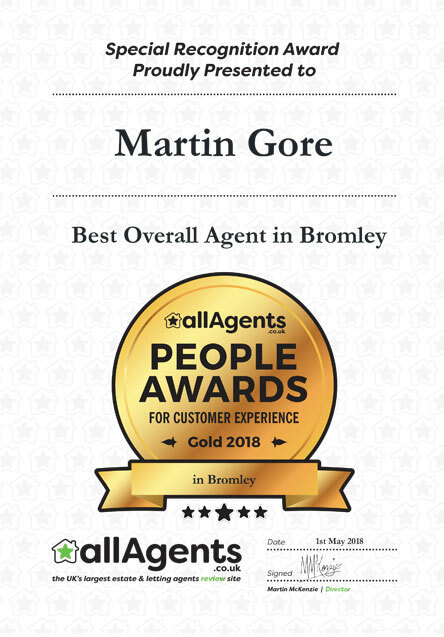 Best Overall Agent in Bromley 2018 and Best Sales Branch in BR1 2018 for Customer Experience by AllAgents. Please contact our sales team today on 020 8464 9804 to discuss our full sales package and book a valuation.